The Sonata No. 3 is a major new work for the double bass - 3 movements, 25 minutes - written for Szymon Marciniak who premiered it at the 2015 International Society of Bassists Convention at Ft. Collins Colorado. Playable in either orchestra or solo tuning, this deluxe first edition is now available. 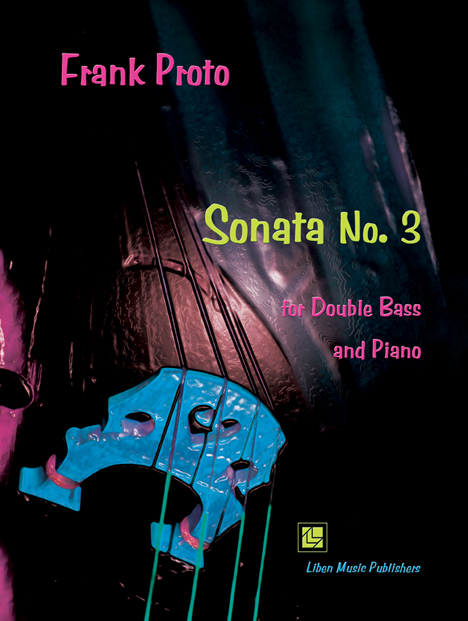 **See the new DVD/CD release New Music for Double Bass featuring Szymon Marciniak and pianist Evan Mitchell performing world premiere recordings of major new works for bass and piano.